Oral iron supplement for the treatment of iron deficiency anemia. Iron is absolutely vital to the health and development of your child. Pregnancy comes with a lot of changes for the expectant mother, one of them being increased iron needs. 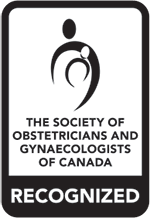 A fetus depends upon nutrients from the mother in order to develop properly. FeraMAX 150 capsules are vegan certified by the Kashruth Council of Canada. It is estimated that 20% of women of childbearing age are iron deficient and 50% of pregnant women develop iron deficiency. 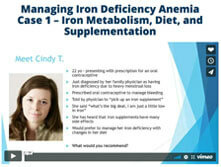 Iron deficiency and anemia are common in those with celiac disease. 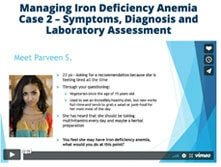 In a woman’s golden years, blood loss and poor absorption are the most common causes of iron deficiency. BioSyent Pharma is pleased to announce the launch of our FeraMAX 150 Vegan Certified capsules. FeraMAX® does not need a prescription, but is kept behind the counter. Talk to the pharmacist. Print FeraMAX® coupons from the comfort of home or work. 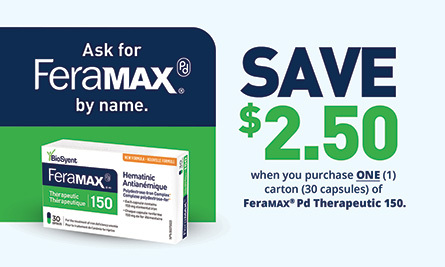 FeraMAX® is available through PHARMEX Direct – a fully accredited, Canadian, direct delivery pharmacy. FeraMAX® 150 is available in a bottle of 100 capsules or carton of 30 capsules. FeraMAX® Powder is available in an 83 g bottle. FeraMAX® 150 is an oral iron supplement formulated with polysaccharides in a stable complex. It is manufactured by a specialized process whereby the iron is coated with polysaccharides (starches/sugars). This coating allows the iron to pass through the stomach relatively intact where it is absorbed through the small intestine and is then delivered to the bloodstream. It is a dark brown powder which, when dissolved in water forms a very dark brown solution. It is virtually tasteless and odorless. It is an organic complex and contains no free ions, also described as being non-ionic. Due to the polysaccharide coating (matrix) it is electrically neutral. 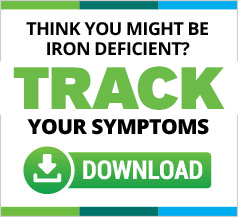 What conditions/pathologies are at risk for iron deficiency? Is FeraMAX® 150 the original PIC in Canada? Yes! FeraMAX® 150 is the original PIC in Canada. The original polysaccharide-iron-complex (PIC) was from Schwartz Pharma, which developed, manufactured, and launched the first PIC under the brand name Niferex. Schwartz ultimately transferred its manufacturing rights of this PIC molecule to a third party and Niferex was subsequently discontinued in Canada. BioSyent Pharma contracted the manufacturing exclusivity of this PIC molecule and then continued to manufacture the product under a new brand, namely FeraMAX®. Consequently, as it is derived directly from the original manufacturing process of PIC, FeraMAX® is the original PIC molecule. Currently FeraMAX® is the only iron supplement manufactured in a North American FDA approved facility. Subsequently, there have been several “Branded Generic” PICs launched in Canada trying to leverage the success of this formulation that provides less side effects and convenient once a day dosing. 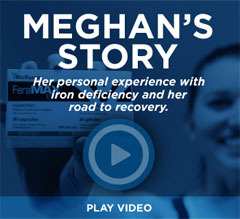 How is FeraMAX® 150 different from other iron supplements? Most iron supplements are ferrous (iron) salts. FeraMAX® 150 is a polysaccharide-iron complex. This formulation provides a well tolerated high-dosage of elemental iron. It is also the only iron supplement that is Vegan Certified. What are the properties of FeraMAX® 150? FeraMAX® 150 is positively charged and soluble at pH < 4.0. This solubility at low pH may be associated with improved absorption. X-ray diffraction analysis shows that polysaccharide-iron complexes have a ferrihydrite (β-FeOOH) structure that closely resembles the structure of ferritin, the natural intracellular protein that binds iron in duodenal cells. 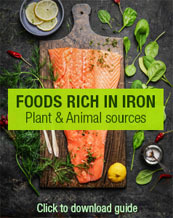 The fact that the polysaccharide-iron complex closely resembles endogenous carriers of iron could account for its high bioavailability and reduced side effects. We are always looking for a nutritious, healthy, and easy way to pack in our iron each day. We love this colourful and delicious smoothie recipe from #heartfullynourished. 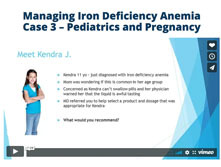 Iron deficiency anemia doesn’t just happen, but rather progresses through different stages that take it from iron depletion to full-blown anemia. 1 Klein-Schwartz W. Toxicity of polysaccharide-iron complex exposures reported to poison control centers. Ann Pharmacother. 2000 Feb;34(2):165-9. FeraMAX® is a registered trademark of BioSyent Pharma Inc.